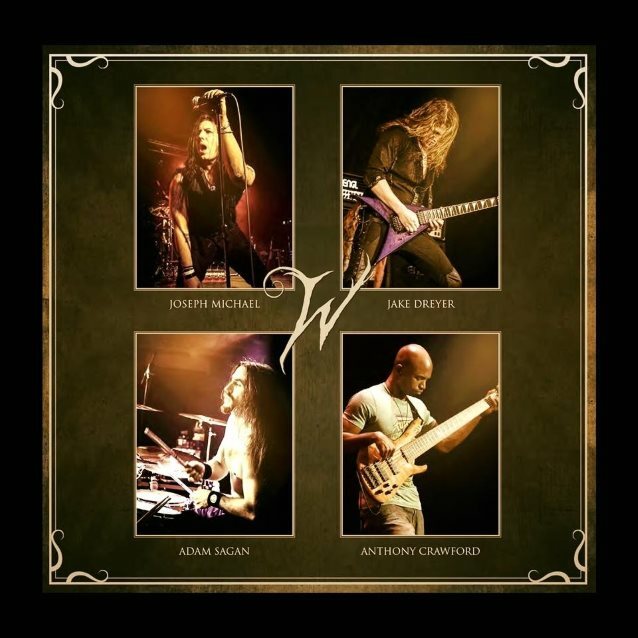 The official lyric video for the song “The Great Awakening” from U.S. progressive metallers WITHERFALL — the collective brainchild of guitarist Jake Dreyer (ICED EARTH, KOBRA AND THE LOTUS, WHITE WIZZARD), singer Joseph Michael (WHITE WIZZARD) and the late Adam Sagan (CIRCLE II CIRCLE, INTO ETERNITY) — can be seen below. The track is taken from the band’s debut album, “Nocturnes And Requiems”, which received a European release on October 6 as a limited CD digipak version with three stickers, a noble LP version with gatefold sleeve, inlay, poster and CD as well as digital download/stream. WITHERFALL has stirred up the international scene with its unique approach of combining epic metal with dark heavy metal and complex yet catchy progressive metal to style that reminds of early CRIMSON GLORY, the “Conspiracy”/“The Eye” era of KING DIAMOND and the great achievements of bands like NEVERMORE, FATES WARNING and QUEENSRŸCHE. With Dreyer and Michael having previously worked together in WHITE WIZZARD and Sagan collaborating with Dreyer on the critically acclaimed debut instrumental EP, “In The Shadows Of Madness” — which included a featured track for the popular video game franchise Rock Band — the trio combined forces to begin writing for the new project in 2013. 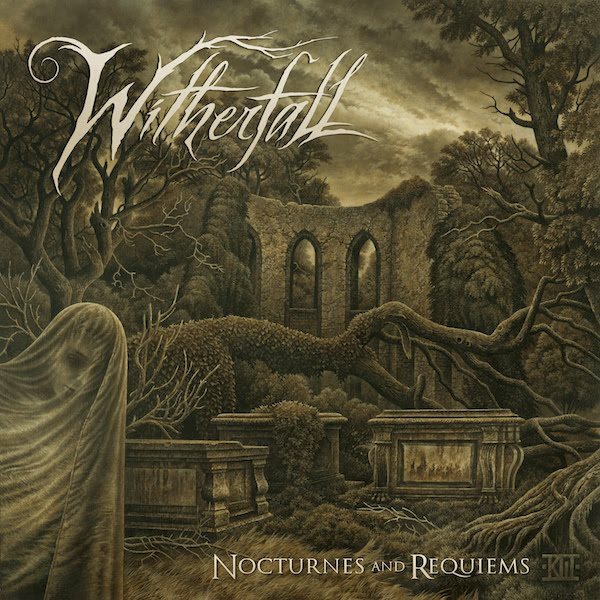 Eager to resonate their ideas, WITHERFALL headed to Phoenix, Arizona to record their debut album, “Nocturnes And Requiems”, with engineer Ralph Patlan (MEGADETH, Brian “Head” Welch, MSG) in late 2014. The album was then sent on to New York City for mixing and mastering by Chris “Zeuss” Harris (ROB ZOMBIE, QUEENSRŸCHE, HATEBREED) at Planet Z. “Nocturnes And Requiems” is dedicated to the life of Adam Sagan, who passed on December 7, 2016 during the final stages of production.